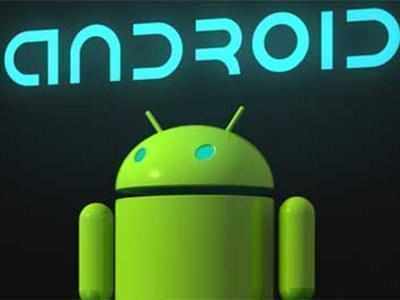 The year 2019 has begun and this is the year when we are likely to see the next major Android OS version that will be powering the upcoming smartphones. Called Android Q, the OS version will be revealed at Google IO 2019 conference that is scheduled to take place in May this year. Google has not yet confirmed the existence of the OS version. However, some keen minds have dug out some tidbits that indicate what’s there to come. Native foldable phone support is something that has the highest possibility of showing up in Android Q. The support has already been showcased by Android’s David Burke last year in a parallel event exactly when Samsung was revealing its first-ever foldable display. Native support will mean a cleaner and smoother layout of Android apps in foldable smartphones. System-wide dark mode is one of the features that is not yet official but Google has been indicating it since quite some time. The search giant in 2018 introduced Dark Mode in several of its apps, suggesting that it is serious about it and might just bring dark mode on the system level itself. Enhanced PiP in Android Q could work in the similar fashion as what is seen in high-end Samsung smartphones these days. It will let you place the window of different apps on your screen, all of which will run simultaneously, making you more productive. In 2018 we saw several smartphone makers introducing facial recognition in their handsets. However, they would have to implement heavy interface changes for the support. With native support, it will be easier to use face recognition and more handsets will be able to support it. Some new permissions were found recently by XDA Developers in Android Q’s framework. This means that the OS will ask users to give apps access to what’s saved in the clipboard, something that is not possible now and gives every app the access to clipboard information. As found by XDA Developers in Android Q’s framework, one might also be able to downgrade to the older app version. This is possible for now but only with Google’s own apps. As indicated in Android Q’s framework, the OS version may let you downgrade any app.